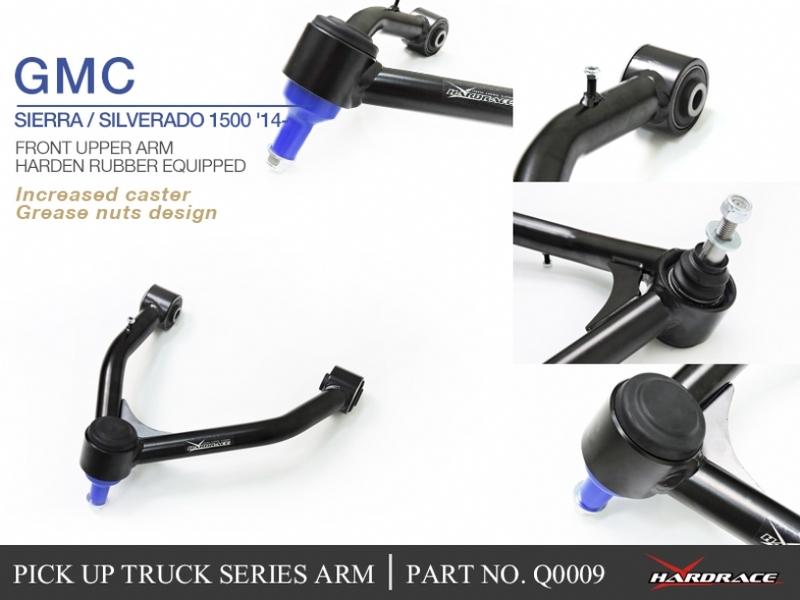 HARDRACE is proud to announce the Pick up truck series arms. These control arms made with hardened steel and compound with superior harden rubber bushings, unlike polyurethane bushings as easy broken. High strength and anti-crack material extends the lifetime and provide solid steering response. A good control arm can regulate the movement of wheels quickly each time you turn or corner.